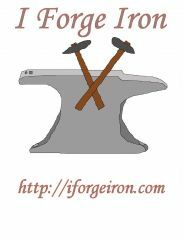 Video Games, Programming, I want to get back into my hobby of blacksmithing. I use aluminum wire now but I want to use steel just cant afford it. I have been making chainmail lately because I can't blacksmith because ts winter and there's snow all around. I made a video on how to make chainmail easier, here is a link to it YouTube - making chain mail with a simple jig I'll be putting up some pics on my chainmail making set up tomorrow I hope, also was wondering if anyone had any pics of chainmail items they have made like suits or something, or maybe a picture of your set up when you make chainmail. I used to process and sell scrap. its easy to make either propane or charcoal furnace to melt.plans are all over internet. I have been told aluminum soda cans are not good for casting.Try old lawnmowers,small cycle parts etc. i have not tried casting myself but ingots from these sell better than cans.